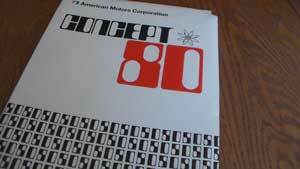 AMC’s AMX was an automotive rarity, a two-seat muscle car on a short wheelbase that most folks at the time agreed handled more like a sports car. 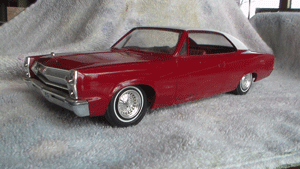 American Motors’ Javelin had just come out a few months earlier when AMC unveiled the AMX for 1968 ½ in February of that year. 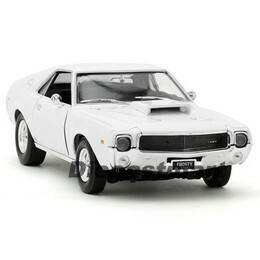 Auto World’s 1:18 version is a “frost” white 1969 AMX Hurst SS version, the rarest of the rare.